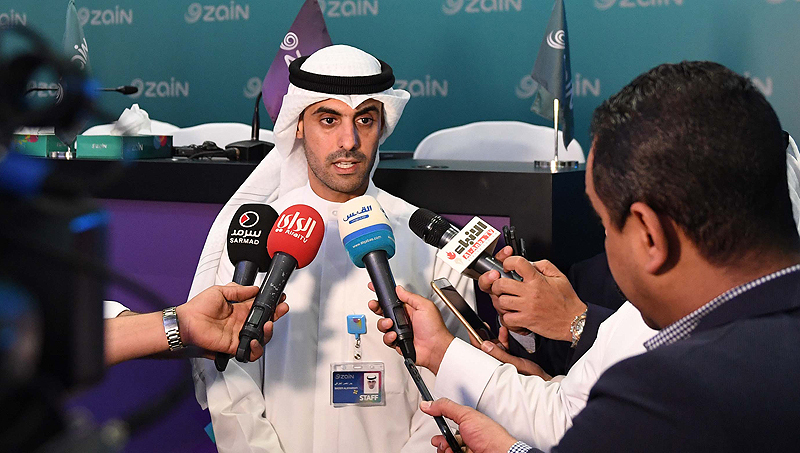 KUWAIT: The annual Ordinary General Assembly of Zain Group was held yesterday at the Zain Group’s headquarters in Kuwait with a quorum of 73.91 percent that approved the recommended cash dividend of 30 fils per share. Zain continued to achieve positive results and drive its operations to further growth in 2018, despite operational challenges being faced by the regional telecom sector including competition, regulatory and socio-economic factors. The Group has been able to enhance its competitive position thanks to its transformation programs, which are turning the company into an efficient digital lifestyle provider. 2018 witnessed a significant transformation of Zain Group in terms of operational and investment plans, with strong growth in all its financial indicators. This growth was underpinned by the successful implementation of the turnaround strategy in Saudi Arabia which has driven the operation to profitability, coupled with the beneficial regulatory changes and consolidation of Zain Saudi Arabia into Zain Group. Both Zain Kuwait and Zain Iraq also enjoyed a strong year, with the growth of data revenues and the tremendous development in the enterprise and business sector, all having gained traction. Today, Zain Group is one of the leading telecommunications companies in the region, focusing on investing in digital services and adopting business models that exceed the expectations and aspirations of its customer base. This strategic approach has helped the company evolve its operations, successfully opening up new revenue streams in digital services, with the aim of establishing a powerhouse for digital transformation in the Middle East. 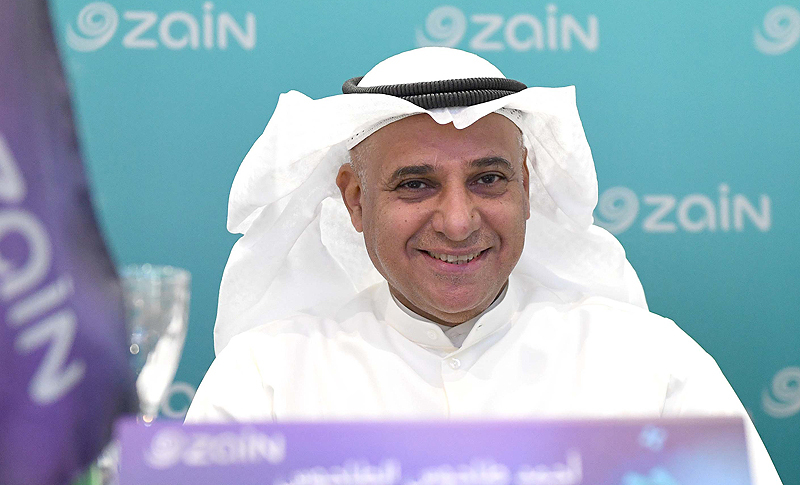 Zain Group was resilient towards internal and external challenges and exited the year with healthy profitability and a good reason to be optimistic about 2019 and beyond. We are focused on fulfilling our strategic vision of transforming into a fully integrated and innovative digital lifestyle provider and exceeding customers’ expectations in all aspects of the services we provide them. Zain prides itself in remaining a forward-looking organization, and a central theme of Zain Group’s ‘4Sight” Strategy is to maximize shareholder value through business growth and efficiency while seeking value enhancing opportunities and new revenue streams in the digital arena. We are particularly interested in the profitable growth areas of smart cities, IoT and Enterprise (B2B). We continue to reinvent, transform and enable the core digitally to support vast investments in network upgrades and expansions across all our markets. Furthermore, we are partnering with leading global entities to enhance the appeal and quality of the products and services we make available to our customers via fast and reliable connectivity while carrying out various initiatives to re-engineer customer experience. As a sustainable conscious company, one of Zain’s primary missions is to have a positive impact on the communities we serve, while undertaking initiatives to participate actively in the Fourth Industrial Revolution and promote social innovation. For us at Zain, the maturing of social innovation is of great importance as it not only addresses society’s most pressing challenges such as youth unemployment, the plight of refugees, economic stagnation and environmental issues, as it provides a legitimate avenue for youth across our footprint to engage in a meaningful manner and be active participants in the socio-economic development of their communities. Financially, Zain is committed to consistently creating value for shareholders and other stakeholders, and we remained focused on cost optimization and increasing new revenue streams resulting in an impressive Group financial performance as evident above. These inspiring results on multiple levels for 2018 are a true reflection of the dedicated efforts of Zain’s 6,000 strong and talented workforce who work with passion every day, in all that they do. 2018 was memorable on multiple fronts, building on Zain’s digital transformation efforts in seeking growth and expanding beyond standard telecom services to diversify revenues and create value. Groupwide API: The company started the year announcing a landmark agreement in support of the launch of the Zain Group Application Program Interface (API) Platform, which will see Zain exposing its APIs, thus helping to remove a significant barrier to developing potential digital partnerships globally. This strategic initiative is set to bring about greater agility to Zain as we consider new market opportunities, accelerating innovation and expanding into new business verticals. Zain Drone: The launch of Zain Drone as-a-Service (DaaS) is set to unlock opportunities in various industries, offering state-of-the art bespoke drone solutions and advanced analytics for governments and businesses in an efficient, safe and fast manner. Zain Drone will focus on the Kuwait market initially and then expand to other key markets where it makes commercial sense to do so. ZINC in Kuwait: Living our belief in innovation, the company opened a Zain Innovation Center (ZINC) in Kuwait, located within the Zain Group head offices. This is the first facility to be located outside of the ultra-successful ZINC in Jordan, featuring a co-working hub, a first-of-its-kind development in Kuwait provided by a corporate entity. The facility’s main aim is to bolster youth entrepreneurship and the country’s startup ecosystem. ZINC Kuwait is set to encourage young minds to think and act creatively outside of the norm in an open, supportive environment. Apart from the inspiring co-working hub facilities, ZINC will provide aspiring entrepreneurs and startups access to experts in various fields and advice from mentors from the region and across the globe, including Zain senior personnel and associated technology partners. Omantel strategic relationship grows stronger: Following the completion of Omantel’s acquisition of Zain Group shares that brought its total holding to 21.9 percent at the end of 2017, both entities spent 2018 focusing on synergies and building on the creation of a new digital telecom powerhouse looking for opportunities to lead digital transformation across the MENA region. The scale and diversification of the partnership will result in the generation of incremental revenue and accelerated introduction of innovative products and services. Highlights of Zain Kuwait during 2018: The operation in Kuwait provides Zain with a conducive platform for digital innovation in products and services that will be launched there, and that knowhow exported across our footprint. Kuwait also sets the foundation for the performance of the rest of the Group, and 2018 was another year that the team’s successful efforts were punctuated by strong partnerships, digital innovation and market leadership in all key business facets at Zain Kuwait. Zain Kuwait focused on the areas of Customer Experience, Smart Homes, and Digital Entertainment continuing its transformation into a digital services provider in support of the New Kuwait 2035 Vision introduced by His Highness the Amir, Sheikh Sabah Al-Ahmad Al-Jaber Al-Sabah. The operator’s focus on Smart Security, Smart Education, Smart Health, Smart Mobility, Smart Living, Smart Economy, and Smart Infrastructure aims on empowering a smart life, a safe community, and an efficient business sector. Zain Saudi Arabia enjoyed an especially successful 2018: The Group and KSA team’s relentless turnaround efforts in the Kingdom are bearing fruit, as our operation in KSA experienced some incredibly positive milestones during the year, which boosted its financial and operational position in that market. This had a very positive affect on the Group on many levels, as evident in our financial results. As a result of the step-up acquisition of Zain KSA in mid-2018, the operator began to be treated as a subsidiary of Zain Group. An immediate consequence of this development was to have various key financial indicators of Zain KSA’s financial results consolidated with the results of Zain Group commencing from the third quarter of 2018. The consolidation of Zain KSA resulted in an additional increase of $1.1 billion in total revenues and $487 million in EBITDA to the Group. As a result of this transaction, Zain Group’s net debt to EBITDA ratio (including Guarantees) is currently at 2.3 times, which otherwise if we excluded the consolidation of Zain KSA, the ratio would be 3.2 times. This is below the industry averages and we always aim to reduce such levels to avoid future interest rate increases and associated costs. Furthermore, Zain KSA recorded its best-ever annual financial performance since inception in 2018, with several key financial indicators showing record growth levels, reflecting the successful implementation of the telco’s turnaround strategy. This landmark was achieved as the company celebrated a decade of commercial operation of mobile voice and data services in the Kingdom. The market capitalization of Zain KSA has risen by approximately $780 million over the last 6 months, after it reported its best-ever net profit of $89 million for 2018 (a 29-fold annual increase). EBITDA also increased 20 percent Y-o-Y to reach $800 million, reflecting an EBITDA margin of 40 percent and revenue rose 3 percent to $2 billion. 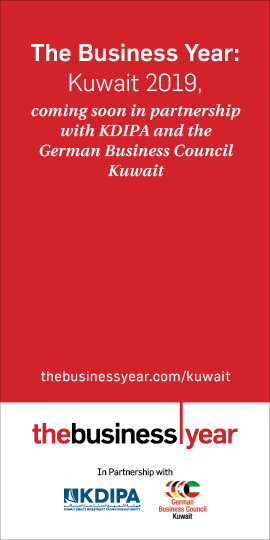 At the end of 2018 the company signed an agreement with the Kingdom’s Ministry of Finance (MOF), Ministry of Communications and Information Technology (MCIT), and Communications and Information Technology Commission (CITC) to consolidate the annual royalty fee for commercial service, reducing the tariff from 15 percent to 10 percent of net revenues retrospectively, commencing 1 January, 2018. 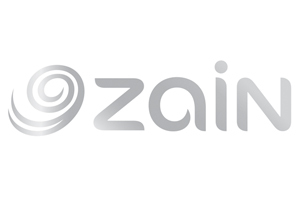 Additionally, the agreement included the settlement of disputed amounts related to the payment of annual royalty fees by Zain Saudi Arabia to the CITC for the nine-year period between 2009 and 2017, under the condition that Zain invests further in expanding its infrastructure in addition to other conditions over the next three years. The expected financial impact of this settlement is forecast to reach SAR 1.7 billion ($453 million) over the next three years. During the fourth quarter of 2018, the company made a second early voluntary payment towards its Murabaha financing agreement, following a voluntary payment in September 2018 for a total of SAR 1.125 billion. These early payments reflect the company’s solid cashflow generation ability and shrewd cash management. Following such repayments, the net debt to EBITDA ratio of Zain KSA has improved. Given the abovementioned positive developments, the company is in a much stronger fiscal position that will only grow stronger. 2018 shall go down as a milestone for us and shall be looked back on many years from now as the year Zain Saudi Arabia truly came into its own. The revival of Iraq: The revival and healthy growth of Zain Iraq is remarkable, which had to deal with challenging social and economic conditions in recent years. With the improvement in social conditions, the team’s focus on driving business growth and restoration of numerous network sites notably in the West and North regions, as well as expansion of 3.9G network sites across the country saw the operation return to profitability. This is combined with numerous customer acquisition initiatives, especially in core regions, that has resulted in impressive customer additions. Another contributing factor to the operation’s financial revival was the significant growth of data revenues and robust growth in the Enterprise (B2B) segment. Major financial institutions continued to show confidence in Zain Iraq with the IFC, a member of the World Bank Group, agreeing to provide a financing package worth $269 million to help reconstruct Iraq’s telecom operations and spur economic growth. The debt package includes $100 million from the IFC’s own account, and a further $169 million in mobilization. The financing helped Zain Iraq enhance its capacity as well as the quality of its 3G network, allowing the operator to expand coverage to unserved areas in the country. Zain Iraq was also able to modernize its networks and customer service in northern Iraq. Sudan’s operational performance continues to improve: In local currency SDG terms, the operator continues to perform exceptionally well, as revenues grew by 37 percent Y-o-Y to reach SDG 9.7 billion ($316 million, down 24 percent in USD terms) for the full-year 2018. EBITDA increased by 29 percent to reach SDG 3.7 billion ($121 million, down 27 percent in USD terms), while net income increased 11 percent to reach SDG 1.2 billion ($45 million, down 31 percent in USD terms). Data revenues (excluding SMS and VAS) formed 18 percent of total revenues, with an impressive annual growth of 56 percent. Regarding the currency devaluation in Sudan, unfortunately it keeps getting worse as the Central Bank of Sudan decided to set its daily currency exchange rate effective from 7 Oct, 2018. This resulted in the official exchange rate being set at 1 USD = 47.5 SDG, noting the official exchange rate before that was 1 USD = 28.3 SDG as of February 2018. Zain Jordan continues to lead the telecom sector in the Kingdom: The team there are focused on transforming the operator on multiple levels and focusing heavily on expanding both its fiber and 4G networks across key parts of the country. This has resulted in immediate success with Zain Jordan reporting impressive take-up of new customers in both the household and enterprise segments. The operator is focused on offering home broadband packages geared towards increasing its market share in gaming, content, streaming apps, devices and IoT services. The operator’s ZainCash offering is proving to be instrumental as its unique value proposition consisting of nationwide mobile coverage, an extensive agent network and ability to transfer instantly to individuals, is proving popular. Zain Bahrain focus on operational efficiency: Celebrating its 15th year of operation in the Kingdom, Zain Bahrain team’s focus delivery of state-of-the-art technology was evident by the profit increase the operator recorded. The team also focused on the offer of appealing innovative digital services that provide greater value to enterprise (B2B) and individual customers. Catering for increased demand for high-speed and reliable connectivity solutions of business customers, Zain Bahrain joined the MEETS regional cable system to boost business offerings supporting the Kingdom of Bahrain’s vision to become a major hub for ICT and data transmission in the MENA region. Zainiac, digital innovation from within the organization’s human talent: Zain’s Human Resources strategy builds on the strength of the 6,000 talented workforce from across operations. To remain innovative and competitive we need to generate ideas from wherever we can find them and seeking them out internally is prudent. Accordingly, in recent years has been the tapping into Zain’s internal human resources to generate innovative ideas. During 2018 we witnessed significant progress on Zainiac, an online platform and community for Zain Group employees. The platform allows employees across the Group to suggest innovative ideas, share challenges, and collaborate in a bid to achieve common goals. The platform is an acknowledgement of the huge talent pool assembled within Zain Group, and aims to promote synergies among country operations, leveraging the benefits of crowd-sourcing of new ideas and business models. As part of the initiative, Zain organizes workshops with leading partners focusing on establishing and fostering startup competencies. Healthy growth in Enterprise (B2B) revenues during 2018: Zain continues to strengthen its positioning as the operator-of-choice for connectivity services to governments and companies of all sizes across the Middle East. B2B is one of the most dynamic and innovative areas and is a growth engine for many key operations. Our ongoing focus on developing innovative value propositions and offering a superior customer experience to enterprise customers delivered strong revenue growth in 2018. We are addressing the ICT needs of governments and companies across our footprint with a comprehensive suite of mobile, fixed, IoT, IT security and cloud services; building end-to-end solutions to grow our B2B businesses. Our operations serve the entire spectrum of customers, from Small Office, Home Office (SoHo) companies to large corporations and government entities with dedicated B2B units. We also continue to invest in our customer-facing staff and capabilities and expanded the key account manager teams, the Zain B2B shop-in-shop locations, and after-sales care teams.